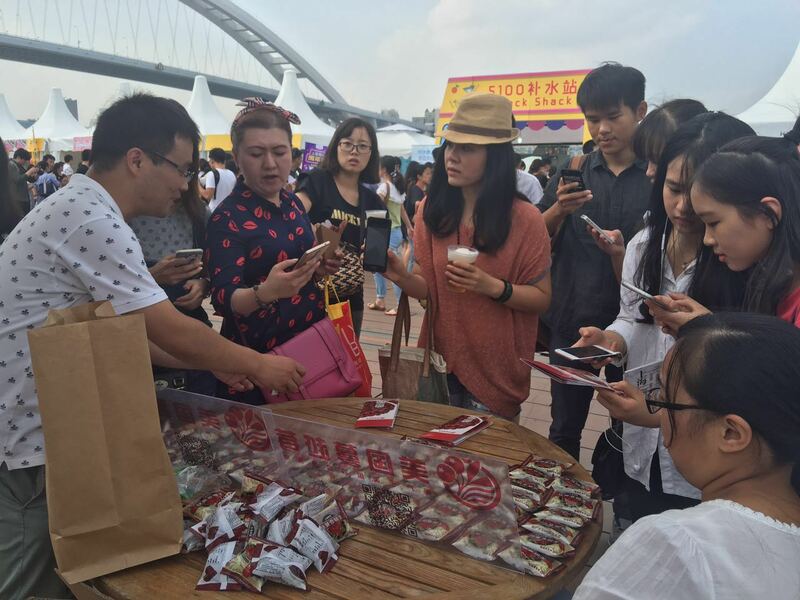 From September 23rd to 25th, the 2016 Shanghai Food &Wine Festival (also called Hippo Living Festival) was held in the Shanghai Expo Park. 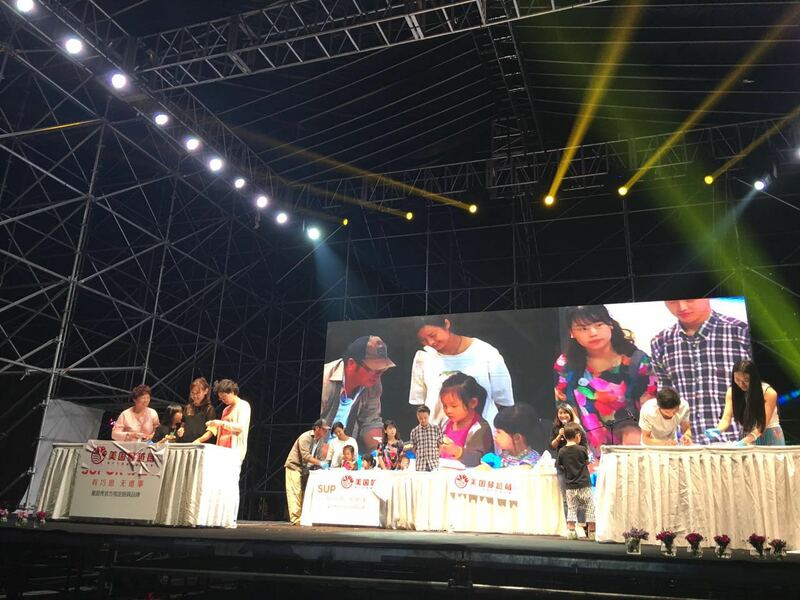 The festival was organized by Shanghai News Group and its associated Shanghai Morning Post, a daily newspaper in Shanghai with 700.000 circulations. During the festival, visitors enjoyed exquisite cuisines and fine wines, and watched celebrity chefs’ demonstrations. As one of the co-sponsors, CMC had its logo on the 30 sun umbrellas which were placed in the national pavilions, including Japan, South Korea, and France etc. CMC tent cards were also put on each table. 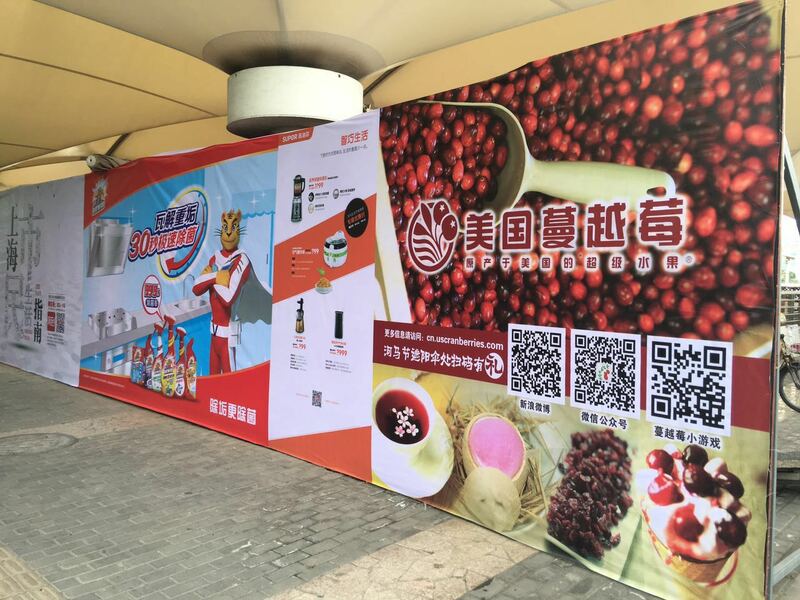 CMC hired promoters to station at pavilions to encourage visitor to try cranberry juice and scan CMC Wechat account’s QR code. Each visitor who did so got a 28-g pack of dried cranberries. Many of them mentioned that the dried cranberries tasted more delicious than those they bought from the stores and wanted to buy the products on-site. 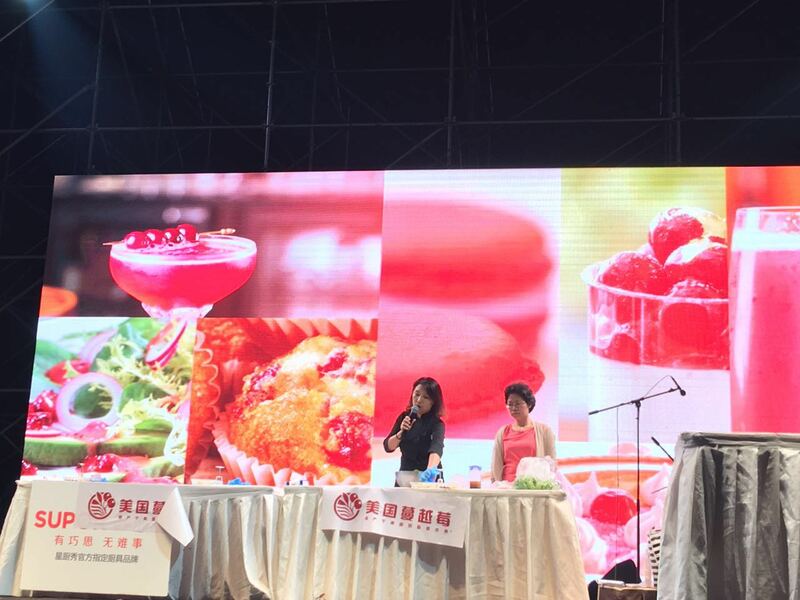 In the afternoon on September 24th, CMC invited a celebrity food blogger, Four Season Barbie, to demonstrate food preparations, after a short speech on US Cranberry by CMC’s China representative. Barbie prepared a cranberry salad and shared it with all the audiences. She then showed the audience how to make cranberry green bean cake and invited 8 consumers to make the cake on stage following her recipe and methods. All the national pavilions had good visitors’ traffic, giving the CMC’s signage very good exposure. Apart from the activities at the pavilions, dried cranberries and cranberry juice were also served in the VIP room to distinguished guests. A specially designed poster showing various cranberry applications was placed near the main entrance and CMC’s logo was also printed on a sponsors’ bulletin board which was very visible to the visitors. After the three-day event, CMC’s Wechat account acquired more than 2000 new followers. Through this event US Cranberry gained exposure to close to 10,000 visitors.